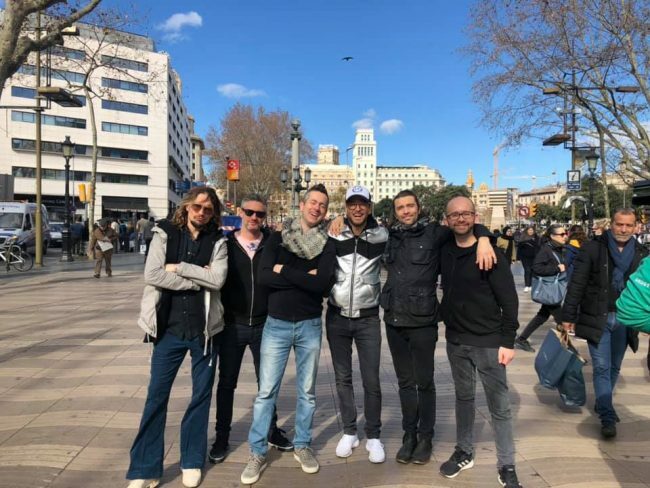 RPJ Band travel to Barcelona to rock 10,000 people at Cisco Live whilst the legend Justin Hawkins joins them on stage. 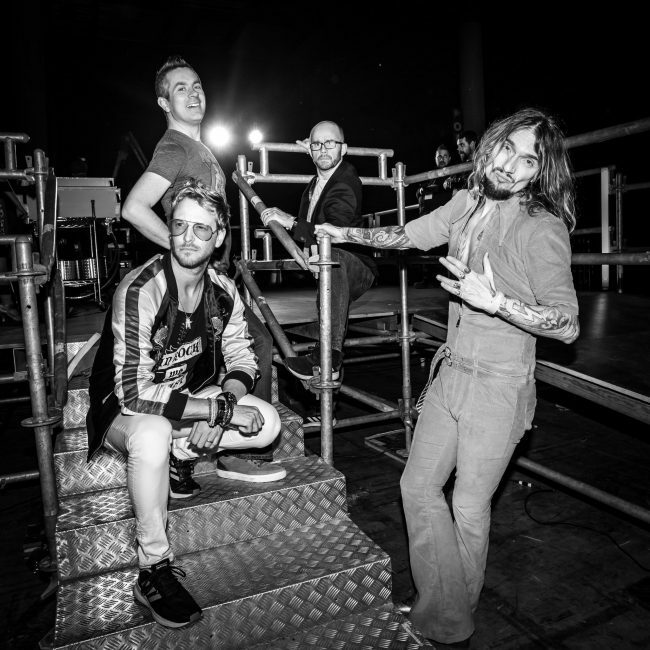 Rick Parfitt Jr, lead singer in the RPJ Band, and director at R&R, lets us into the secret world of events and how he felt backstage before one of the biggest performances yet. Thanks to Sean Ebsworth Barnes for the incredible photos! Check out his instagram @Seanebsworthbarnes. “10,000 people were expected and I don’t think we have ever been so fired up to deliver our biggest show to date! 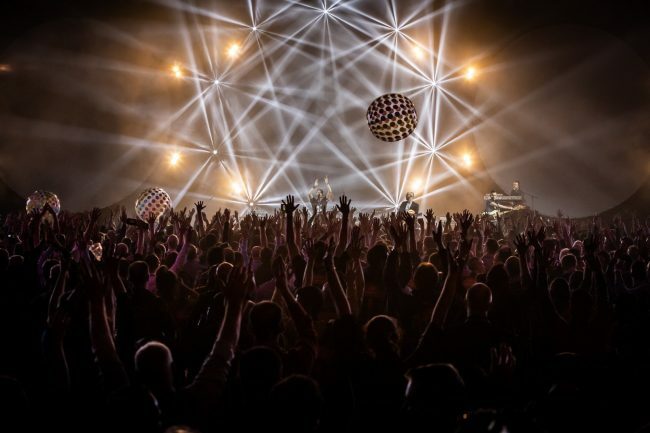 As the arena filled the lights went down, our intro boomed across the hall and we launched into our set in a frenzy off pyrotechnics, spinning mid air aerial artists and over a 1000 lights blinding the audience!”… Talk about making an entrance! 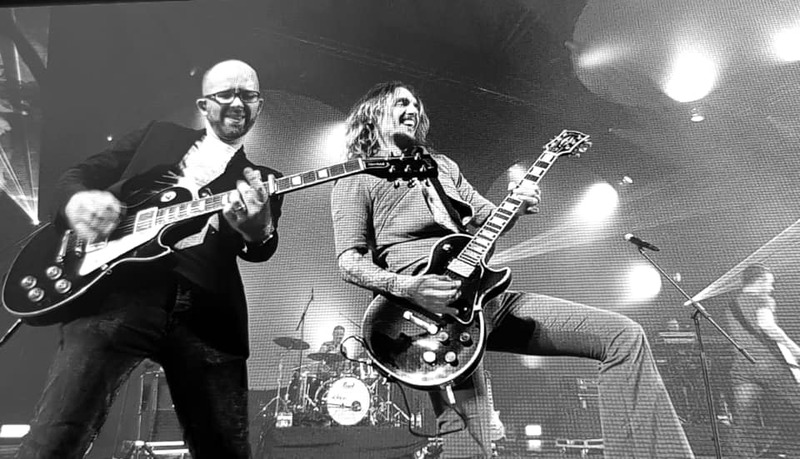 “Added to this we were also joined mid set by legendary guitarist and front man of the Darkness, Justin Hawkins! 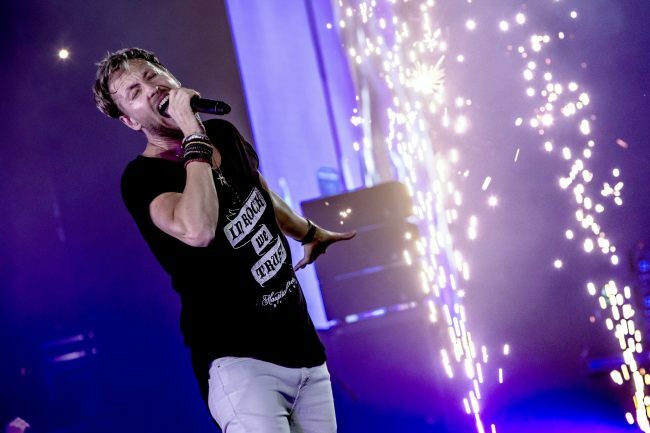 What followed was joyous coming together of audience and band as one, singing, jumping, hands waving, amazing visuals, fireworks and screaming fans and guitars, and us finally leaving the stage to a frantically chanting crowd, but two encores was enough! A night that we will remember for a long time! thank you Cisco Live!” – Rick Parfitt Jr.